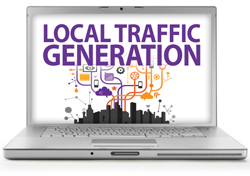 Seven Easy Ways to Drive Local Traffic to Your Business! What’s the #1 secret to getting local business and doing it fast? Leveraging local marketing tactics that drive new customers into your business! If you want to get more customers into your store, practice, or business… whether you’re selling products or services… Ford Saeks will show you how to get locally targeted traffic to your website and into your location in his 60-minute video training, Seven Easy Ways to Drive Local Traffic into Your Business! It doesn’t matter if you’re technical or not. This video training will give you the secrets to local marketing that will drive more local traffic into your business! Shop our online store with complete confidence. All orders are processed safely and securely.